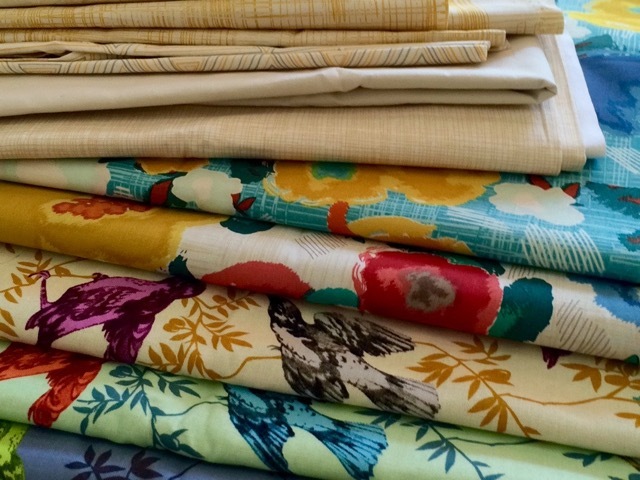 When my son came for holidays from Chicago he brought to me the fabrics I had ordered. I am so happy with them, they are gorgeous! And so grateful to my son for loading his suitcase with fabrics! 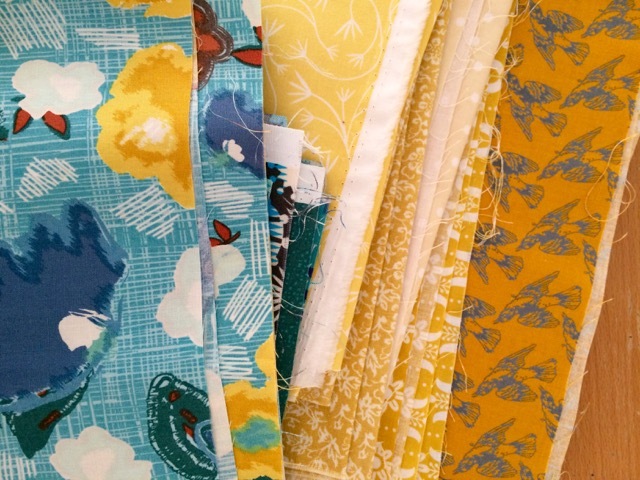 I have several projects... starting first with baby quilts for two babies : my first grand-daughter and my first grand nephew, both to be born next month! 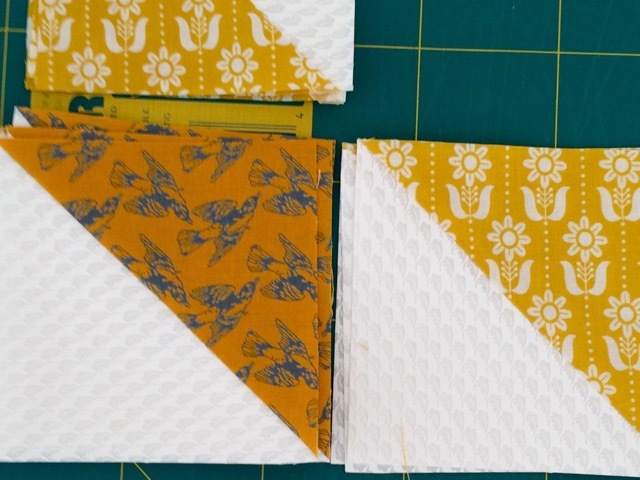 I have done a selection of fabrics in the colors wished by my niece, and for this first baby quilt I have cut all the required half square triangles for a herringbone pattern. 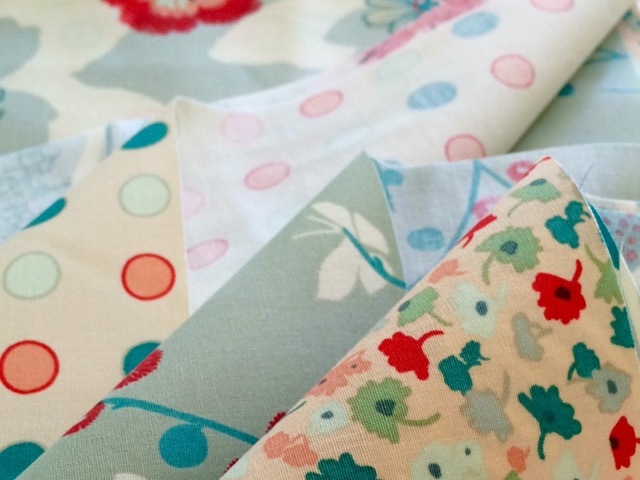 A lovely mix of fabrics there Christine, guaranteed to keep you busy especially you have a grand-daughter on the way! Ah mais je comprends mieux pourquoi il y a plusieurs styles dans tes tissus ! oh cela va être beau! 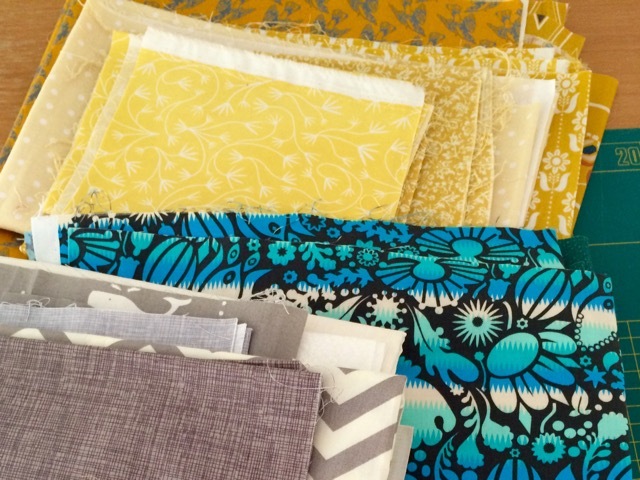 What an inspiring batch of fabrics! Your start with the half-square triangles is beautiful. Ton choix de tissus est comme d'habitude super et le resultat ne peut que l'etre aussi..j'ai hate de voir tes nouvelles realisations !!! A granddaughter...how wonderful! COngrats!! Enjoy your sewing. Voilà qui est bien pratique depuis l'explosion des frais de port !